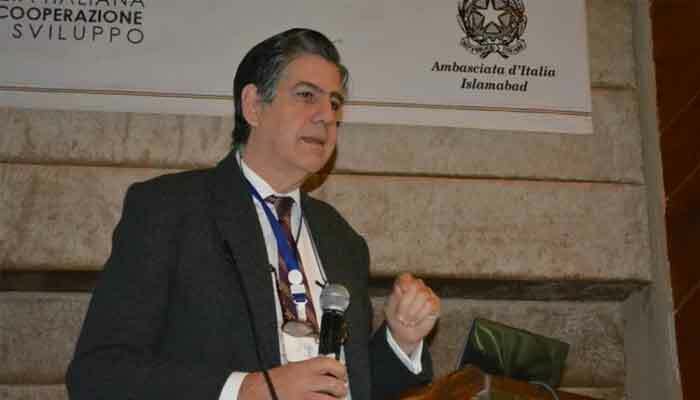 ISLAMABAD: Stefano Pontecorvo, Italy's Ambassador to Pakistan, on Wednesday said it was ENI, an Italian company, which brought others in for drilling in the sea to explore oil and gas in Pakistan. He was responding to a Tweet from Daniyal Gilani who had shared the "good news" about the exploration work off Karachi , tagging Exxonmobil in his post. "Actually I believe the Italian Company ENI brought them in and they are drilling an ENI owned offshore block....," the Italian envoy responded. When a user said the drilling was "pure Italian with partners," the envoy Thanked him and added "ENI is partenering with Exxon, PPL and OGDCL on this block".Hopes are high.."